BOA Plant are pleased to announce that we have been included on the shortlist for the 2018 HAE/EHA Awards. The prestigious event, hosted by BBC Breakfast's Chris Hollins, will be held at London's Grosvenor House Hotel on Saturday 28th April to celebrate the achievements across the UK's supply and hire industries; and also recognise outstanding individuals who have continuously exceeded standards. BOA Plant have been nominated alongside companies such as NiftyLift, GAP Group, Nationwide Platforms and many more. 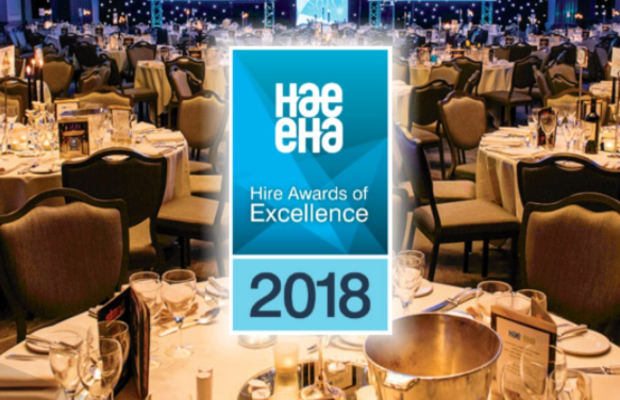 The Managing Director of HAE EHA, Graham Arundell, commented: "The excellent mix of large companies and smaller independents will certainly make for a very enjoyable and rewarding evening. The calibre of all the finalists is extremely high and the judges had some tough decisions to make in order to choose the winners. We are proud to be involved in such a vibrant industry which is not only supporting and rewarding its experienced members, but is proactive in nurturing its youth skills too. I'm very excited to see how the evening turns out."